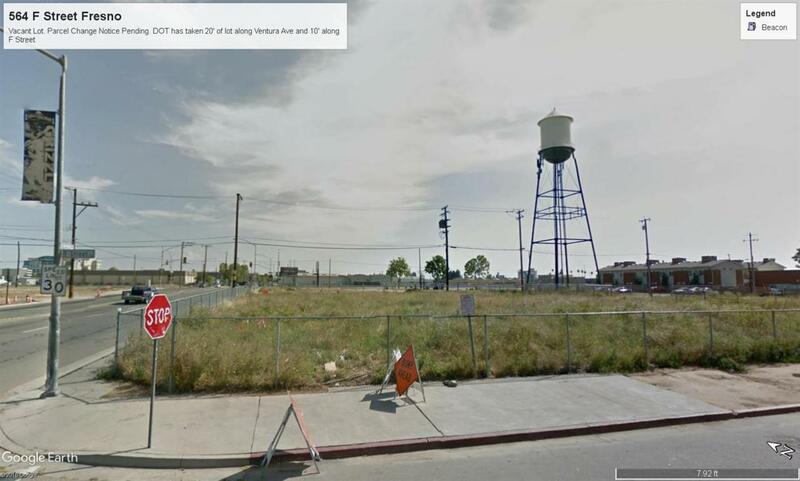 Vacant Lot on South Westerly Corner of F St and Ventura Ave. Pending Parcel Change Notice. State of California Department of Transportation has taken a 20' wide strip of the lot along Ventura, and a 10' wide strip along F St. New APN will be provided through escrow.